Eight years ago (I feel old), if you had asked me what my favorite Zelda game was, without hesitation, I would have answered with Twilight Princess. At the time, I appreciated the gritty realism, terrifying enemy designs, fun boss battles and relatively dark storyline. My adoration for Midna’s spunky yet sweet personality certainly played a role as well. For years after I had collected every Piece of Heart and completed every side quest, I thought of the game fondly and occasionally played it nostalgically, usually scaring soldiers in Link’s wolf form or fighting Ganondorf for the heck of it. But as the years have gone by, I’ve found that Twilight Princess doesn’t hold up as well for me as it used to. When I look at the beauty of Wind Waker and Skyward Sword’s colors and cell shading or Final Fantasy IX’s gorgeously rendered backgrounds, I realize that I don’t like how Twilight Princess has aged over the years. Yes, it’s gritty and realistic, but it’s also dull looking with its dark color palette. In fact, I’ve noticed that the dullness and tones have made the game age pretty quickly, and that’s not exactly a good thing. Looking through screenshots of the game, not only has the color palette accelerated the game’s aging rate, but it’s led to the creation of some very unmemorable settings. It’s so…drab for a tree house. When I look at screenshots of Twilight Princess and don’t register any emotions from them because every setting is so dark that I’m indifferent to the ones that are supposed to be genuinely terrifying, that’s not a good sign. 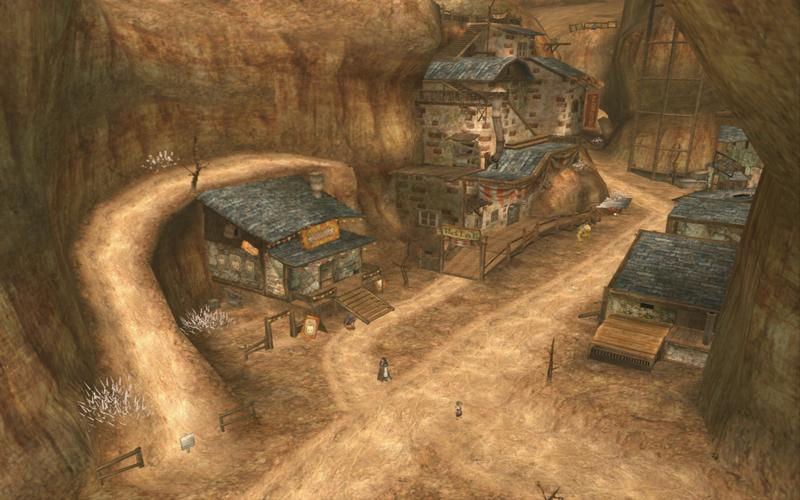 It all looks the same to me in Twilight Princess, and aspects of that game that once scared me don’t anymore. It’s for reasons like these that I appreciate Wind Waker and Skyward Sword so much – these games did a much better job of terrifying or exciting me with the colors of the environments. They didn’t need to be realistic and gritty. The colors, whether bright or subdued, set a tone for each dungeon or town I visited, stirring different emotions in me. The games never looked bland and that enhanced my experience as a gamer. I looked forward to progressing in these games just to see what the next location would look like. When the colors and setting alone urges me to play through a game it’s indicative of how deep its level of escapism is. The Silent Realm still haunts my nightmares with how stressful and intense it is. It’s clear to see that Twilight Princess has an overall tone it wants to convey with its more dull color palette, and while that’s fine, it leads to a boring experience playing the game now that I’m older. Yes, the darker tones of the setting adds atmosphere and realism, but that can only get you so far. At some point, the story and enemies need to be able to supplement the tone you’re trying to convey. 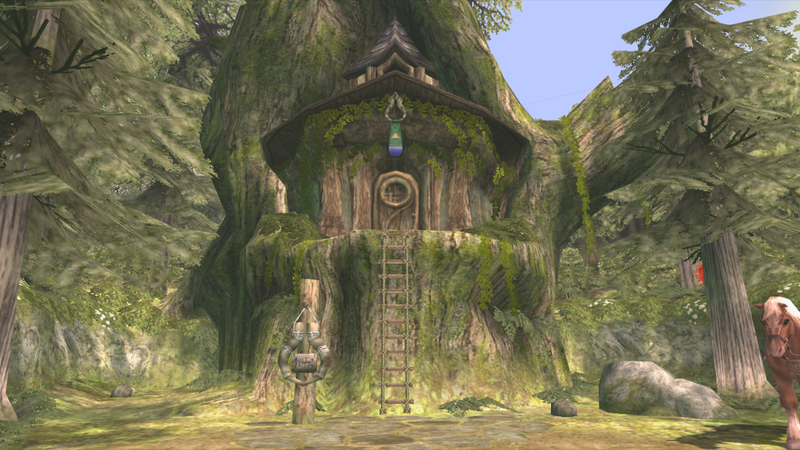 For me, I feel like Twilight Princess relies too much on the setting to set its tone rather than allowing the story and characters to take over. Of course, setting is vital to contributing to an experience in any video game, but the execution in Twilight Princess could have been better. Its presentation of the setting failed to make it truly memorable, and since the story and characters didn’t contribute a ton, it felt like it was trying too hard. After all, the reason Majora’s Mask is still considered the most terrifying and dark Zelda game in the series is because of how the bright colors and setting conflicts with the morbid plot. Link has three days to save Termina from total destruction at the hands of the moon, and yet the bright colors of the settings hardly suggests that. Do you feel like your world’s about to end when you stand here? 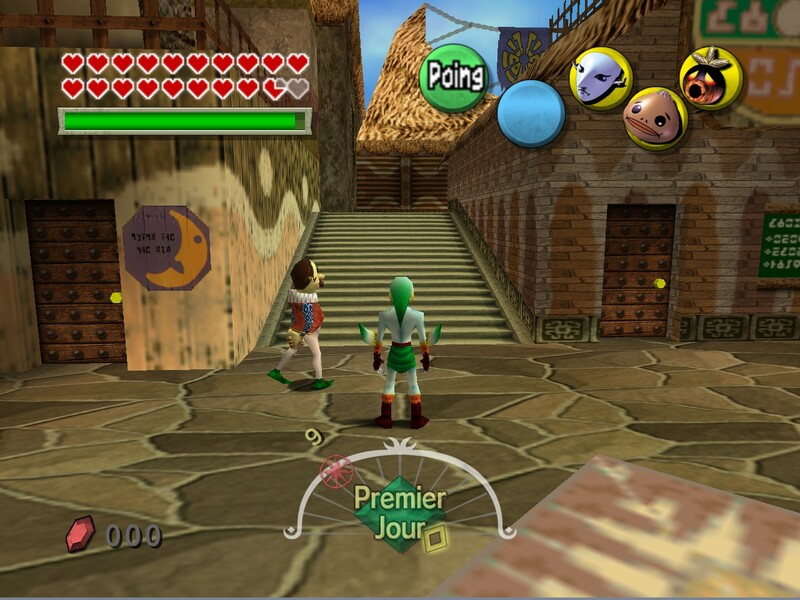 Of course, that’s not to say Majora’s Mask wasn’t dark or didn’t have a more dull color palette when needed. It absolutely did, but these darker tones or color schemes weren’t over-used – they were applied in the game where necessary, creating a unique and visceral experience for gamers. 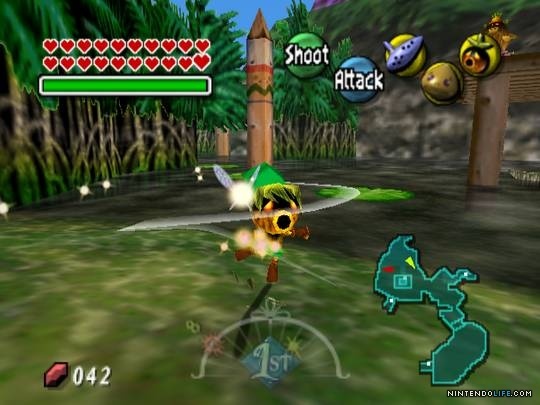 The dichotomy of destruction crashing down on this peaceful, vibrant world emphasizes the morbidity of the plot and enhances it, adding urgency to Link’s mission to save Termina. The fact that it clashes with the general expectation of a darker color scheme to accommodate a darker story is the reason why Majora’s Mask is still so admired over the years. In contrast, Twilight Princess as a whole places emphasis on darker, bland color palettes in each location, but this doesn’t contribute anything to the story as a whole. There isn’t a ton of urgency in the plot, and the setting just slows down the already stagnant pace. Hyrule doesn’t really look like a place that needs saving. It’s a fantasy world and yet I, as the gamer, have little to no desire to complete the mission to protect it. It’s a problem when a video game can’t encourage the gamer to complete the core mission because its design is forgettable or the gamer can’t connect with it. This looks like Jerome, Arizona. Not okay. A lot of these same issues can be seen in many games coming out today. Video games have the ability to whisk gamers to new worlds through the memorable settings they create, but I’m finding that as the industry as a whole moves to more realistic graphics, the color and life is lost. The graphics are so realistic that settings are becoming bland and forgettable as a result from the company’s focus on the expected look rather than on a look that accentuates the story and themes. I applaud Nintendo for staying true to its style and continuing to rely on brighter colors and less on realism to create a memorable experience as seen in the Zelda Wii U trailer from earlier this year at E3. It looked incredible and reminded me how beautiful video games can be when they don’t try to imitate realism. Realism may add a layer of complexity to a video game, but the thing is, the real world doesn’t look nearly as dark or dull as most of the settings in most modern video games. The world has a beautiful side too, and Zelda’s proven that tapping into that beauty is worthwhile and still appreciated. I’m not saying all of this out of hatred for Twilight Princess. I don’t hate the game at all – I still find it quite enjoyable. The puzzles are thought-provoking, the dungeons are well-designed, the wolf mechanic is fun, and Midna’s character development and dynamic with Zant is great. It’s far from a bad game, but it doesn’t have as much weight as it used to. I don’t love it the way I did eight years ago. These days, I think of it as a game I had quite a bit of fun with and enjoyed experiencing, but it’s nowhere near my favorite Zelda game anymore. Which one is? Find out soon! 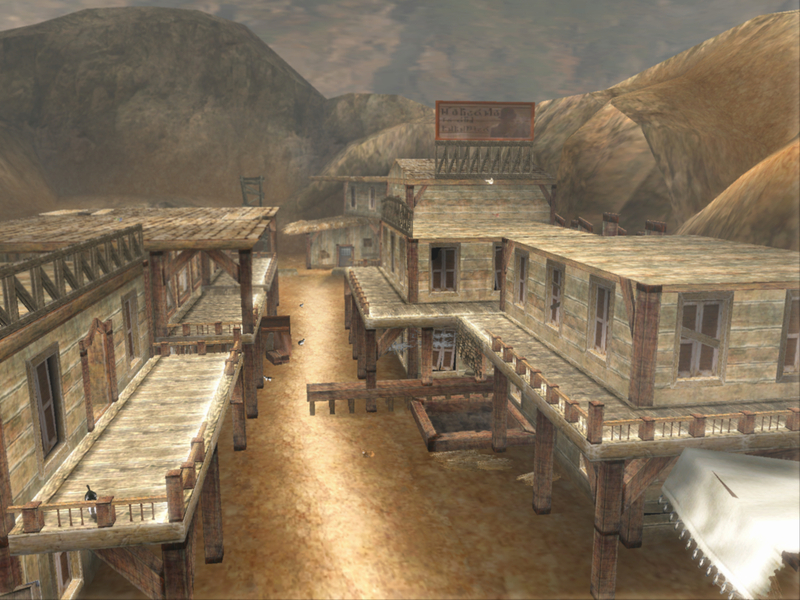 The old-Western style shootout at the Hidden Village is still the best part of the game though.